Based on Michael Morpugo's 1982 best-seller, War Horse is the latest cinematic journey from blockbuster director and household name Steven Spielberg. Having previously been recreated for the stage to both critical and commercial acclaim, it's no surprise to see a Christmas cinema release for the much loved family story. With War Horse Spielberg continues to demonstrate his ability to helm a holiday money-spinner. Within this story of courage the director uses his cinematic prowess to convey both the scope and emotion that the story requires to a modern audience. While his previous war movie Saving Private Ryan showed you the horror of war, with War Horse Spielberg now wants to show you the heart. 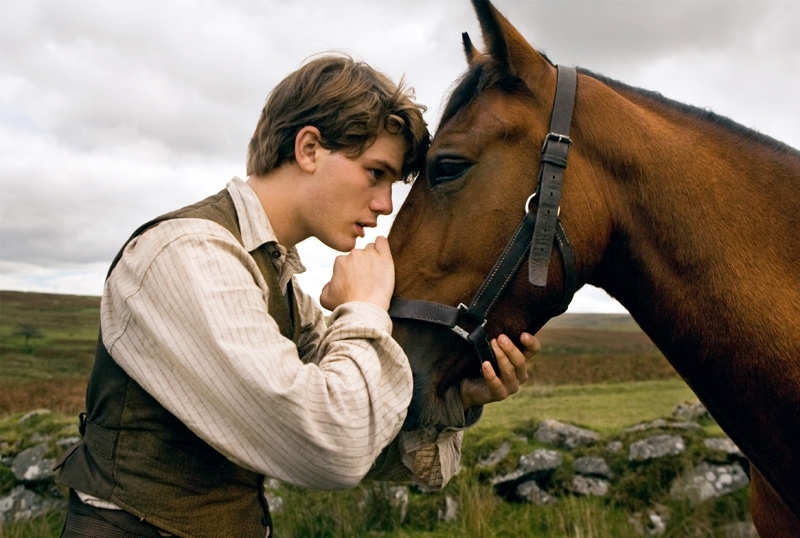 Set during the First World War, War Horse is a grand tale that centers around English farm boy Albert Narracott (Jeremy Irvine) and the special bond he shares with Joey, his beloved farm horse. Joey is purchased in egotistical bidding war between Alberts father Ted Narracott (Peter Mullan) and their oppressive landlord Lyons (David Thewlis). While he is a fine thoroughbred, Joey is not the strong work horse the Narracotts need to help sustain their farm. With pressure for crop results looming to pay off their landlord, the innocent and unconditional bond between man and animal is formed quickly between Joey and Albert. 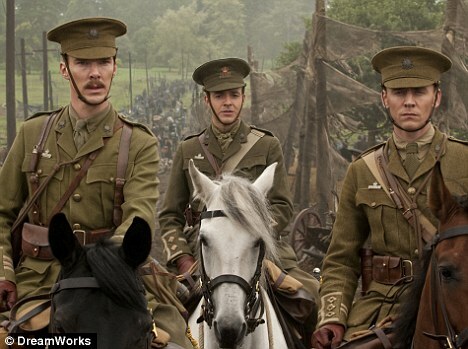 Despite the pairs courageous effort, the family is unable to escape their debt and Ted Narracott sells Joey to the British Army to ride with Captain Nicholls (Tom Hiddleston). Heartbroken and desperate Albert promises to not give up until he finds his companion and brings him home. 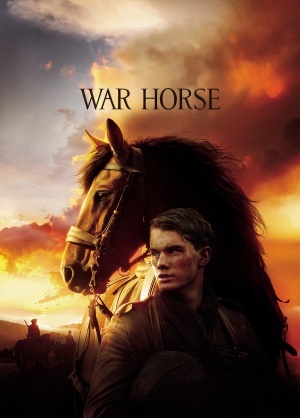 War Horse is a tale told from a variety of perspectives but driven by two lead narratives. Innocent animal Joey is thrust into a world of violence and falls under the ownership of both warring sides. Having a four legged lead with no allegiance or connection to the war that surrounds him emphasises the pure absurdity and sadness experienced during war time. Albert's path shows his determination and struggle through a brutal war to bring his companion back home to the family farm. This determination is both admirable and beautifully human, not something often seen in Boxing Day blockbusters. Through these two separate narratives we are given insight into both sides of the war and never forced to believe anyone is "The bad guys". In style War Horse is reminiscent of the bygone era of Hollywood classics. Comparisons to the old MGM movies of the 40's will be frequent with this film, but for good reason. Spielberg's regular cinematographer Janusz Kaminski has shot the movie beautifully. Kaminski frames a stunning widescreen picture and allows a lot to be seen without ever overcrowding the image or distracting from the central focus of the scene. John Williams provides the rousing and emotional score and there isn't another man in Hollywood that could do the same without seeming like a pale imitation. The director himself is in fine form for this family film. One of the film's most absurd but amazing moments involves the two fighting sides coming together to help a wounded Joey. It is a beautiful moment laced with clever comedy that is a welcome breather in the cinematic pace. With War Horse receiving an M rating, some of the scenes may be too graphic for younger children. However Spielberg's direction has left out the physical gore of war in favour of well shot, fast paced action sequences. This works well and still brings across the fear and erratic action experienced in the trenches and battlefields of the First World War. The actors are all well cast with a few standouts. Niels Arestrup is excellent portraying a loving but wary French grandfather who chances upon Joey when his granddaughter finds him in the farmyard barn. Tom Hiddleston who we'll be watching in movies for some time to come, brings an old Hollywood charm and style to a small but important role. Emily Watson is also strong as always playing Albert's mother Rose. Newcomer Jeremy Irvine who plays Albert is at time earnest to the point of disbelief, but this is necessary for his character and is accurate to the cinematic style and time at which the story is set. War Horse is a story for the whole family. While it may be too mature for the younger kids, grandma and grandpa will enjoy what is on display. It does not have the laughs or gross out gags that can be expected on the usual fanfare of Boxing Day Christmas movies. What it does have is a beautiful beating heart that tells a important message of hope through courage.